In my book, I give you a list of bullet points of everything you should include in your essay. It's a long list, believe me. You may be wondering how you can possibly include all that in five pages, much less 100 words. My answer: be concise. No matter how concise you think you are, you can always be more so. In fact, you can get a novel on a single page if you really try, and the more concise you are, the more information you’ll be able to pack in to explain why you are the best candidate for the scholarship. Don't be redundant. You may be replaced. If you don’t believe me about the novel thing, click here to go to “Book-A-Minute Classics” and prepare to be amazed. 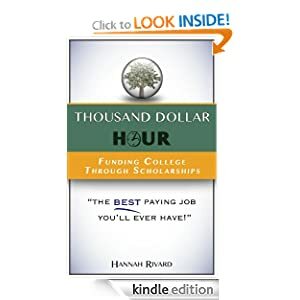 Learn their lesson, and by it, write amazing concise essays that will help you fund college through scholarships.